One of the problems of the decline of Defined Benefit pension plans in the private sector is that the alternatives do not provide the same sort of “mortality credits” that DB plans provide: in effect, those who die early subsidize those with longer lifetimes. RRSPs and TFSAs also lack this feature. Add in extended longevity and chronically low interest rates and the proverbial warning about seniors eating cat food is again becoming current. About the only place DB plans are thriving is in the public sector, so it’s ironic that the public sector is being asked to come to the rescue of the next generation of impoverished seniors. Retirement expert and retired actuary Malcolm Hamilton thinks the reference to cat food and the poor house is “unfortunate and unwise … There is nothing in the paper to suggest that either outcome is commonplace in Canada.” He says the paper is not about senior poverty but about the inability to provide well-designed, affordable products to those who have saved reasonable amounts for retirement and seek an effective way to convert their savings into an income for life. Well amen to that, as the program proposed by MacDonald would be completely voluntary, a national program that lets retirees buy into a pooled fund that would provide a stable income beginning at age 85. READ: Tontine: Retirement plan of the future? Here’s how LIFE would work. For those who sign on at age 65, Canadians could invest funds into LIFE according to their discretion. Monthly payouts would start at age 85 and continue as long as you lived. Commuted-value cash withdrawals would not be permitted during the deferral period or the payout stage. By pooling mortality risk among members, survivors would gain the added return of a “mortality premium,” with long livers benefiting from those who passed away before age 85. Between 65 and 84, each member’s account would be invested in a portfolio described as “relatively aggressive” and grow each year by actual investment experience plus the mortality premium generated within the age 65 to 84 LIFE group that year. After 85, members’ funds would be moved into a more conservative portfolio, with monthly income commencing that would be fixed across their remaining lifetimes, using conservative investment and mortality expectations. Each year, any surplus in the group’s mortality experience and investment returns would be distributed equally among the 85+ cohort through lump sum “bonus” payments. Milevsky proposed resurrecting tontines in his 2015 book, King William’s Tontine: Why the Retirement Annuity of the Future Should Resemble its Past. I reviewed it in this Retired Money column almost three years ago. He’s also written academic papers on tontines, which were created in 17th century Europe and occasionally pop up in films like The Wrong Box. At first glance it’s a morbid concept that involves the pooling of investments such that those who die end up subsidizing those who keep living (hence the term mortality credits). But it’s not a lot different than the ideas behind life insurance and indeed DB pensions. Last August Milevsky’s article Tontine Thinking was published in The Actuary, arguing mortality credits should be re-introduced explicitly in the design of future Retirement Income products. 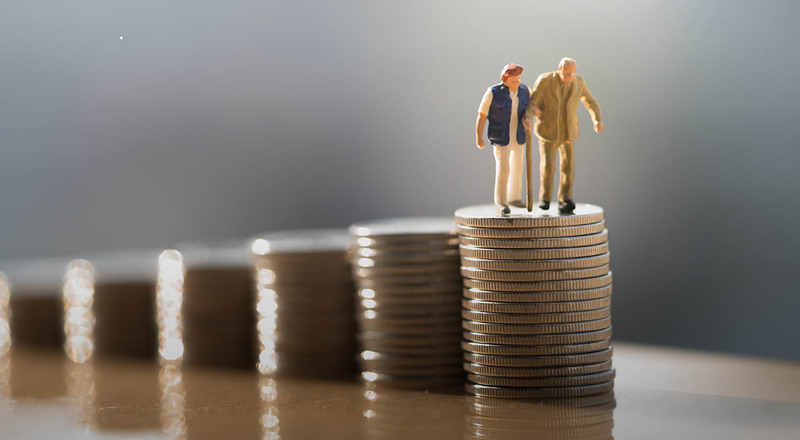 He noted the global decline of DB pensions and the growing concern of policy makers that future retirees will no longer have access to the low-cost efficient longevity-pooling schemes that are the actuarial backbone of DB plans. READ: Should I buy a life annuity at age 73? Adrian Mastracci, portfolio manager of Vancouver-based Lycos Asset Management Inc. says funding the ever demanding retirement years can be fraught with fears and trepidation and any additional options that help retirees from running out of money in their later years are welcome strategies. I say bravo to C.D. Howe, Milevsky and the other pioneers proposing this transformation. Hopefully, our leaders in Ottawa who profess to care about the beleaguered middle class will listen to this proposal and do their bit to promote it.